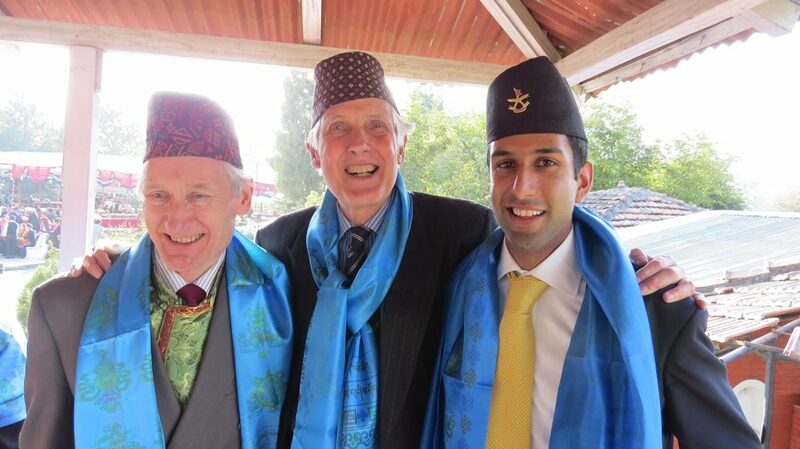 In February 2014, Anthony (CEO), Hirsh and Nitish (both Trustees) visited Nepal to join the celebrations for the wedding of our country manager, Jimmy Lama. 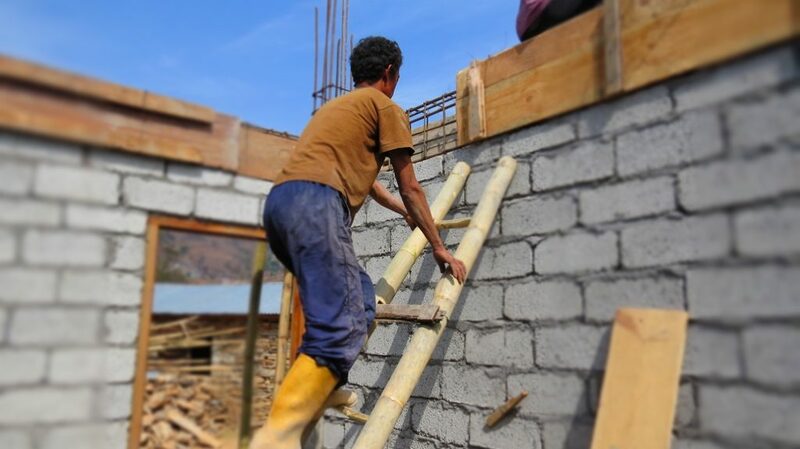 While doing so, they travelled across the Helambu valley to see the progress of our projects in the region. 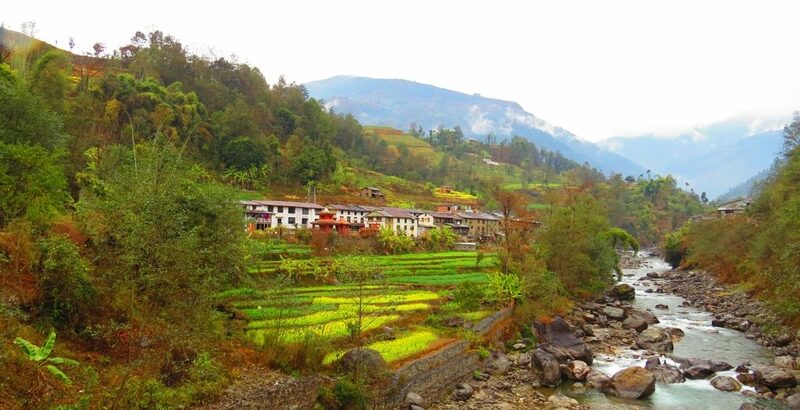 When I first went out to Nepal in 2010, I had just graduated from university and instantly fell in love with the lush valley and its wonderful people. I’d been waiting for an excuse to go back, and Jimmy’s upcoming wedding provided the perfect opportunity for me to re-explore Helambu. I was not surprised to see that much has changed in the valley since I was last on the ground, but the familiar hills, rocky paths and waterfalls that make Helambu so special were once again on show and it was impossible not to fall in love with the area all over again. I’d previously explored the valley in monsoon season but this time, Helambu was kind enough to treat me with a sprinkling of snow and a glimpse of the mountains that surround the valley. 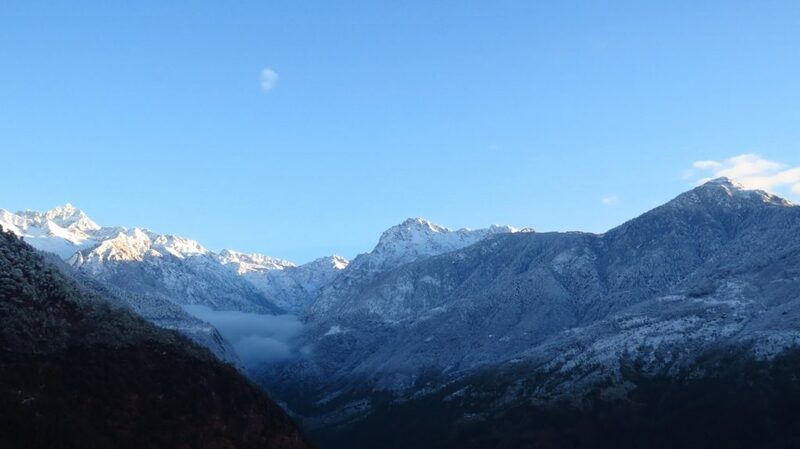 Nothing beats waking up to the mist clearing over a snowy hillside! Since my last visit, education in the valley has come a long way. 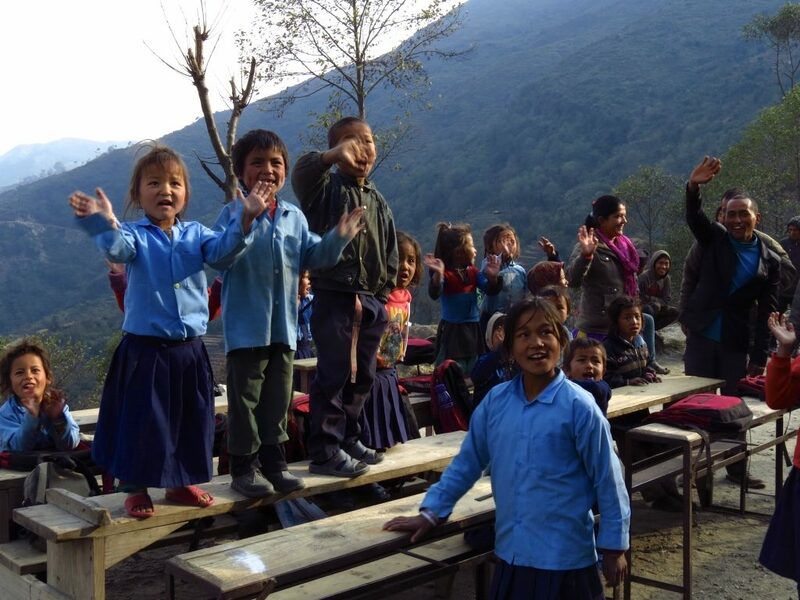 Back in 2010, the project was still very much in its infancy but now, HELP, our partner charity on the ground in Nepal covers over 25 schools. An impressive achievement in such a short period of time and the results were plain to see. In particular, great leaps have been made with providing students with stationery and other learning materials which are so essential to their education through the “School in a Bag” programme. 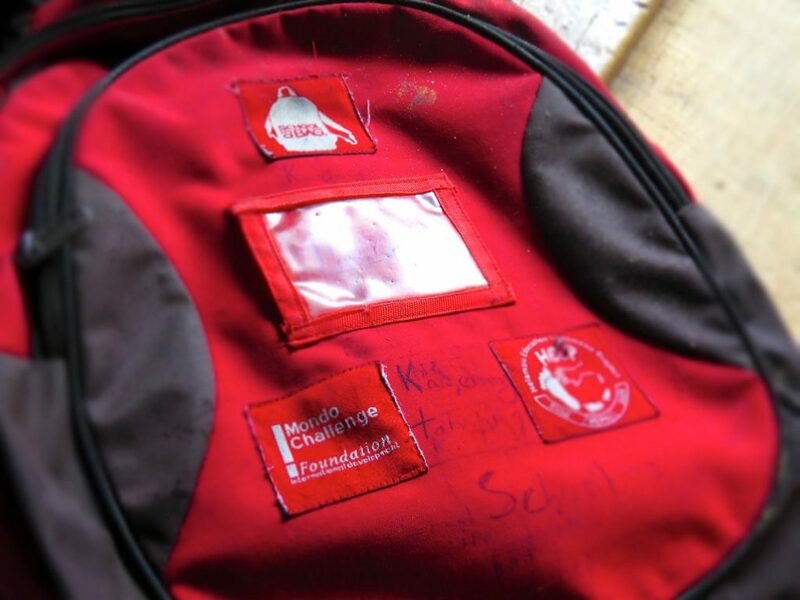 And the students are always keen to show off their swanky new red schoolbags! Its traditional for the people of the valley to welcome visitors with a “Kata”, a traditional ceremonial scarf in Tibetan Buddhism. By the end, I had a nice little collection from all the schools we had visited! Some of the most crucial improvements to education in the valley have come from better infrastructure. 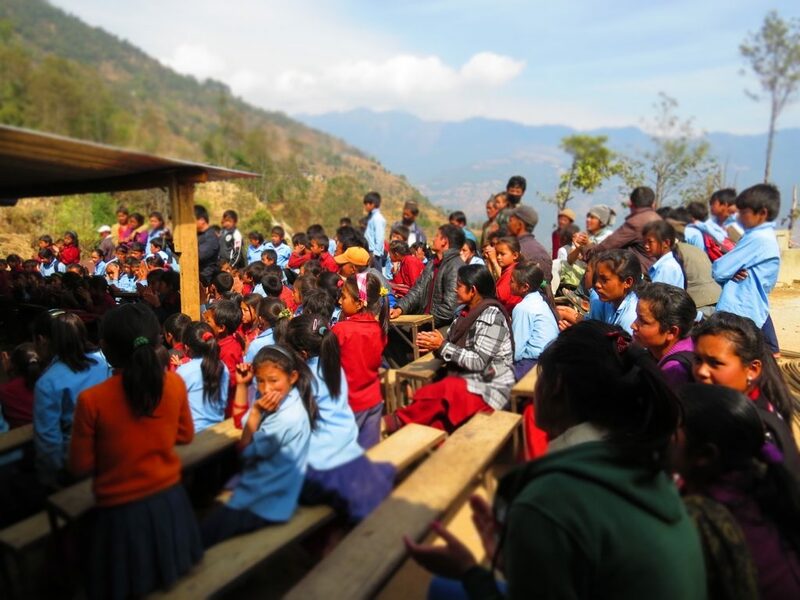 Whether this has been the construction of toilet blocks or water storage facilities, it is now just that much easier for students to focus their efforts on learning. In particular, the focus has been on classrooms – with over 75 classrooms built, primary education in Helambu has truly been revolutionised. 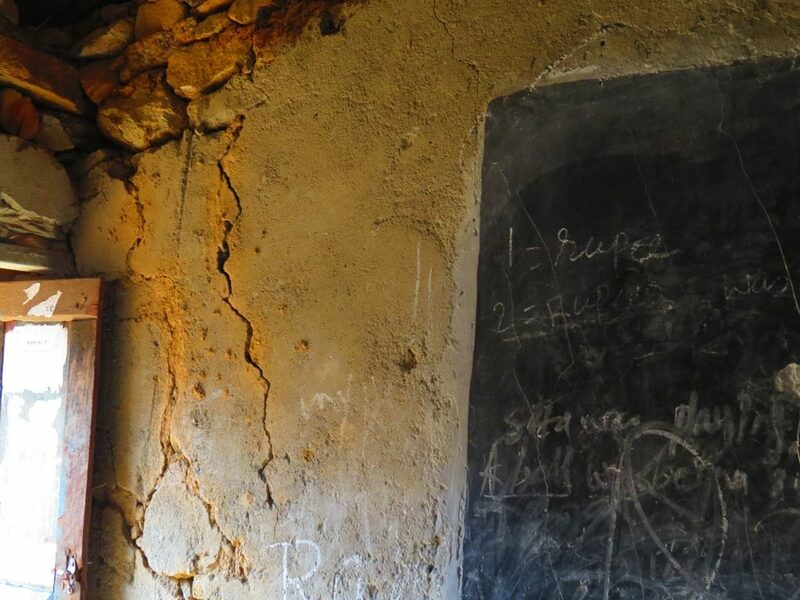 Crumbling classrooms have been demolished and replaced with solid structures. 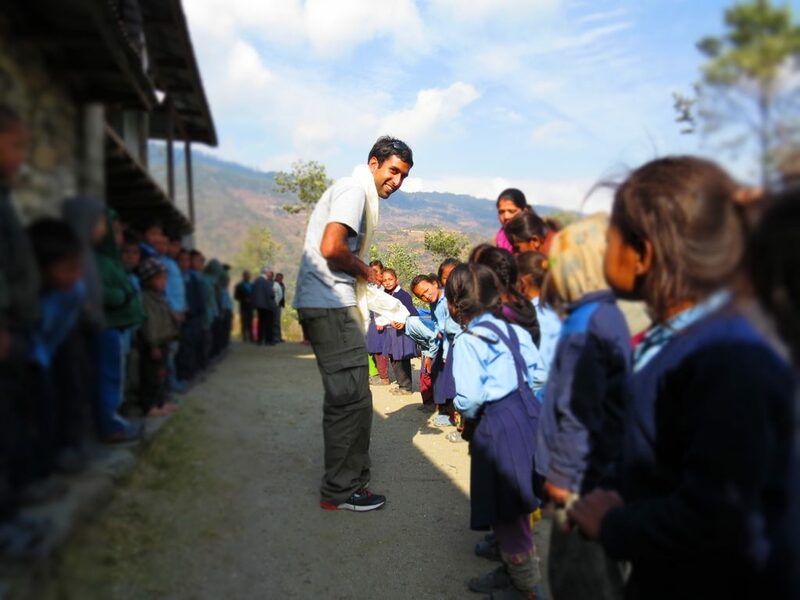 I really enjoyed teaching during my first experience in Nepal, mainly because the pupils are so keen to learn and inquisitive. Nothing changed this time, and they were just as curious to find out what we’d been up to in Kathmandu and what we did in England. For me, what makes Mondo and its partner charities so special is the focus on bottom up, community led development. Here, at Ichowk School, Jimmy along with villagers considered plans for a new primary school to take the load off the current primary school which is heavily over-subscribed. 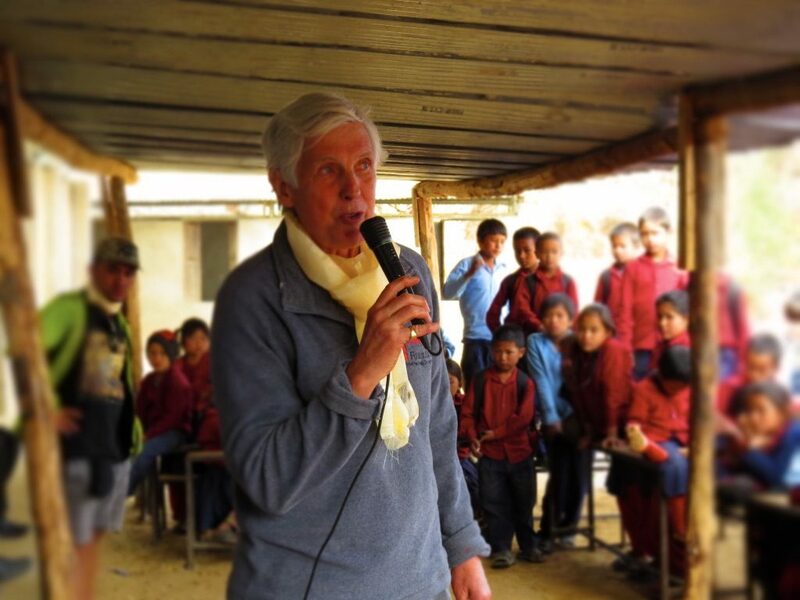 The villagers themselves suggested the site and would work together to build the school, giving them a real stake in their children’s education. 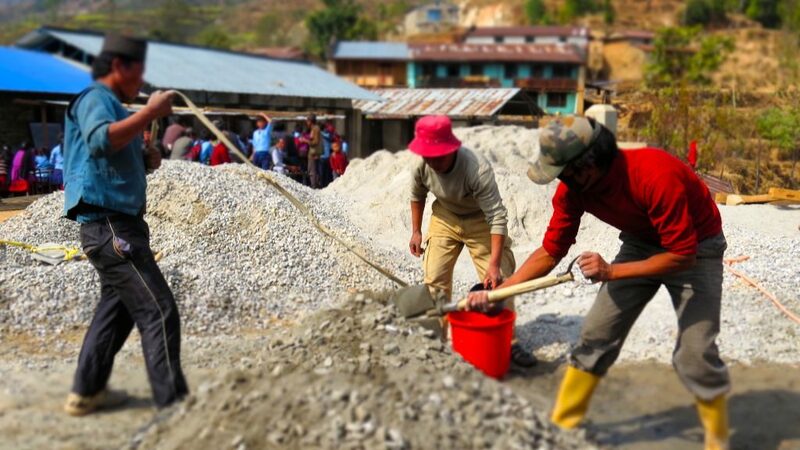 The builders were hard at work at the main site of the secondary school when we arrived. When I visited in 2010, Ichowk had one of the worst cases of overcrowding, being hugely oversubscribed and with as many as 90 children crammed into a single classroom. Things are, however, slowly getting better. New classrooms were in the process of being completed and there will be room for even more students soon enough. During our trip we stumbled on an end of term prize giving ceremony at Ichowk school. Anthony (never one to shirk the microphone!) was delighted to say a few works and award the winning school house with their trophy for their hard work in the term. Hirsh, Anthony and I (from left to right) enjoying the celebrations at Jimmy’s wedding! It really is amazing to see how far the Helambu Valley has come in four years and no doubt in another four years it’ll be even further along. Here’s hoping I’ll be back in a few years to check on progress!